Grumpy, How many toads can you fit in your slow cooker? Did the right thing. I'm knew but that's what I would have done. Can someone clarify the difference between "arrived at shipper" and "arrived at stop"? Arrived at shipper is your origin. Where you pick up your load to be delivered. Arrived at stop is used once your loaded and have arrived at your first stop if you have more than one stop IE split load. If you only have one delivery you would just use arrived at final destination. Then when empty you send in an empty call. Hope this helps. I drive all 48 toads. Has anyone used the slow cooker/crock pot that pilot travel center's sells. It is 1.5 qt. Thoughts on it, is it big enough? Https://youtu.be/ihqRDqye-0s. Must watch. Good info. In short uniden use to make Cobra circuit boards. I am going uniden. What about the 12 W side band ability of the Uniden? Cobra 29LX, output mod, echo mod, receive mod. 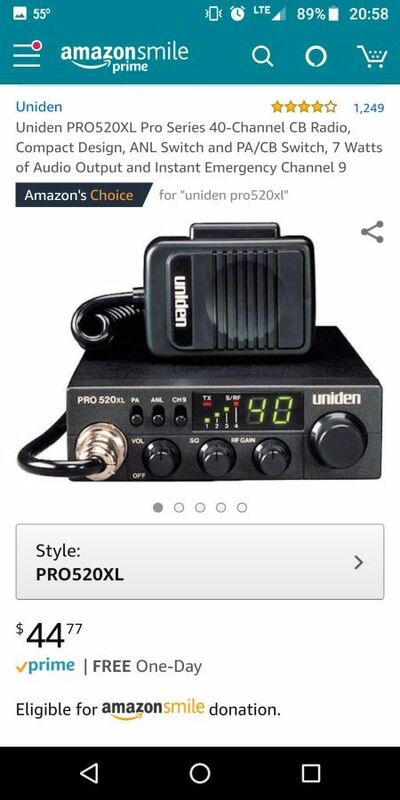 Compact, inexpensive, works well with built in Freightliner antenna. Very nice... Hmmmm have to look at it. Congrats.... I have been solo about 6 weeks so far. Uniden Bearcat 980 SSB. Cobra 29 LX Max. What is everyone's pick? Is Freight Slow Right Now? 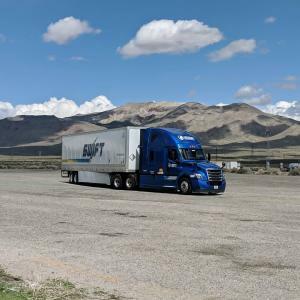 is freight truly slow everywhere? I am knew sitting Jurupa valley with no loads. Planner showed me the load board in red. More trucks than loads. What I do get offered is garbage. I have been sitting in weed, CA since Sunday afternoon. My DM telling me don't move. Nasty N and S. Hate this crap. I have to head that way this afternoon from LA to Lebanon,OR. 11:00 PT now. Looks horrible on weather radar starting around Stockton. Hope it blows through before I get there.